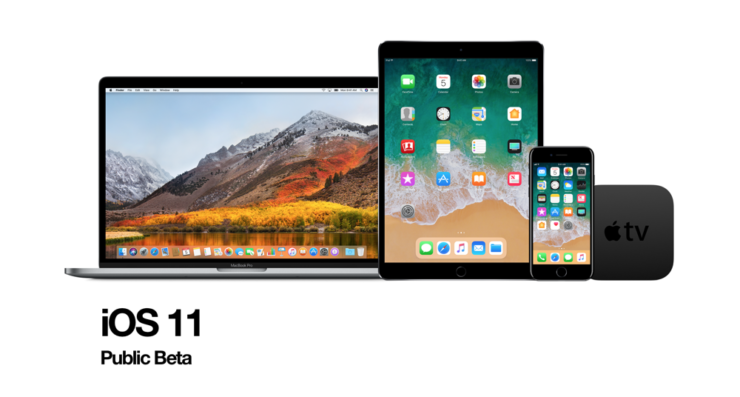 Here’s how you can download and install iOS 11 Public Beta on your compatible iPhone, iPad, iPod touch device right away. Apple promised that it would release iOS 11 Public Beta later this month, and it has done well on that. 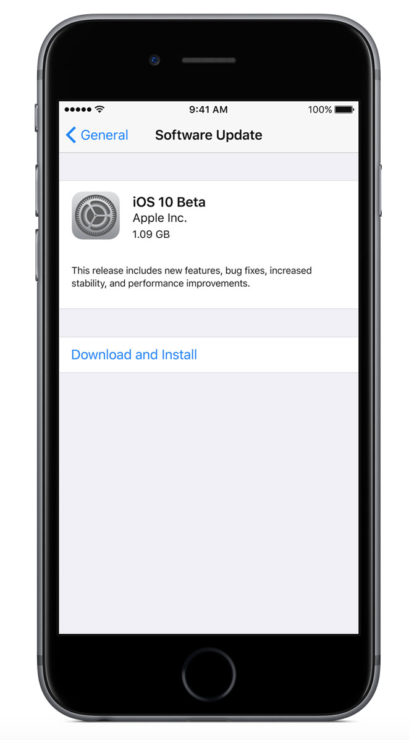 Unlike its developer-oriented counterpart, the Public Beta of iOS 11 is absolutely free to download and install. 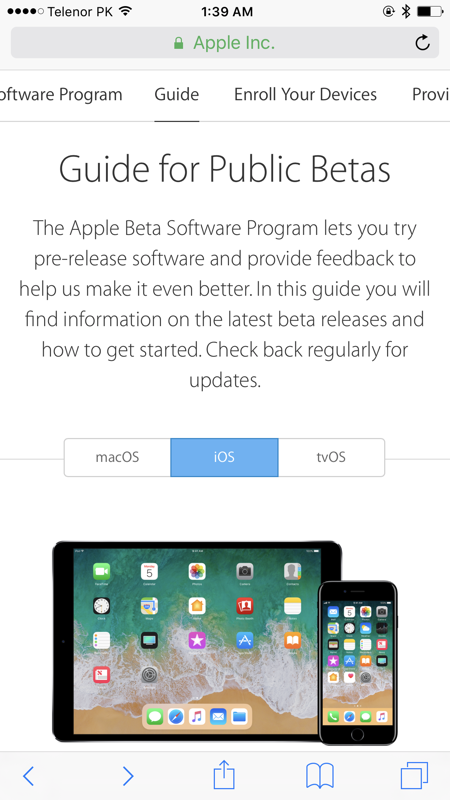 The only major difference between the Public Beta and Developer Beta is that the former is available only as an over the air download. There’s no image file you can get your hands on in order to perform a clean install using iTunes. Before you go ahead with the installation, make sure that the Public Beta is compatible with your iPhone, iPad or iPod touch. The complete set of compatible devices are listed here: iOS 11 Beta Compatible Devices List – iPhone, iPad & iPad touch. Once that is done and you’ve established that the Public Beta is compatible with your device, please make sure you backup everything using iTunes or iCloud. It’s absolutely essential that you do this in case you plan to downgrade back to iOS 10.x later on. 2. Once here, sign in using your Apple ID. The very same Apple ID which you are using on the device you are holding. If you are brand new to this, make sure you sign up with your Apple ID on the Apple Beta Program website. 3. Now tap on Enroll Your Devices at the top-most bar. 4. Scroll down a little and then tap on the blue Download profile button. 5. 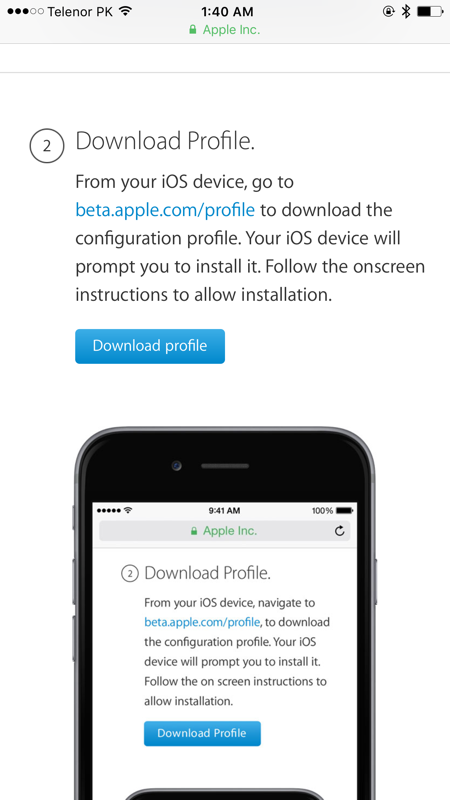 Follow the on-screen instructions and you’ll be asked to restart your device. 6. Once you are booted up again, navigate to Settings > General > Software Update. 7. Tap on Download and Install and the Public Beta will begin to download. The entire download and installation process will take no more than half an hour if you have a speedy Internet connection. Once everything is done, you’ll boot right up with all your files and settings intact.